Australia to explore the attractions of Gold Coast is a metropolitan region south of Brisbane on Australias east coast. Sydney, capital of New South Wales and one of Australia's largest cities, is best known for its harbourfront Sydney Opera House, with a distinctive sail-like design. Melbourne is the coastal capital of the southeastern Australian state of Victoria. Best time to Visit: Australia is enormous, with a wide range of climates. The northern states are typically warm year-round, while the southern states have cooler winters. Dec to Feb is summer; Mar to May is autumn; Jun to Aug is winter & Sept -Nov is spring. 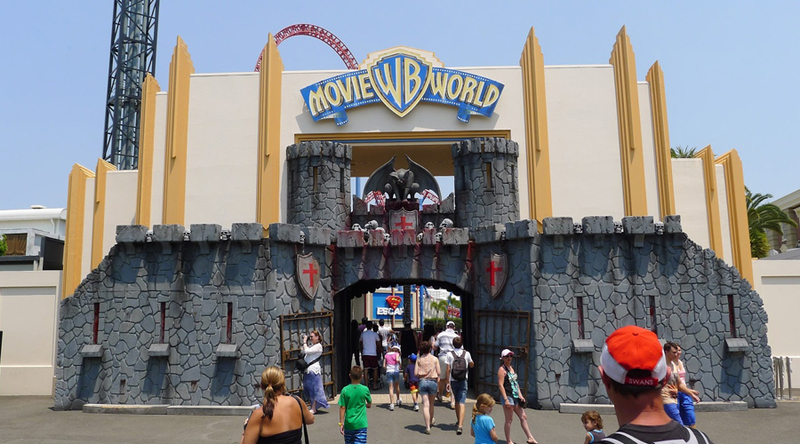 Transfer to Gold Coast "Surfers Paradise" - Movie World: - Arrive at the Brisbane airport at Flight VA931-depending on flight selection arriving by tentatively @ 1130 Hrs and transfer to Gold Coast hotel. Arrive at the hotel and check in (Early check- in is not guaranteed). At Afternoon, Proceed WARNER BROS. MOVIE WORLD: Admission is fully inclusive of all rides, attractions and facilities. Overnight at Hotel. After Breakfast. Get ready your tour Sea World. Admission is fully inclusive of all rides, attractions and shows (excluding the water park, coin operated games, photographs, food, beverage, optional activities - animal adventure programs & helicopter joy flights). At Evening, Hotel transfers from selected Gold Coast accommodation, experienced local guide, National Park admission fees, guided rainforest walk and glow worm viewing, stargazing (weather permitting), World Heritage site visitation certificate. This is an evening adventure into the rainforests of the World Heritage listed Springbrook National Park. Enjoy an eco-interpretive nature walk and glow worm viewing in a cave featuring a cascading waterfall. Experienced eco-guides take personalised groups of 10 people on an evening rainforest walk, pointing out plants and animals unique to the area, and enthral visitors with the history, culture, and lifestyle of the traditional land owners, and their interaction with this special place. Follow this with starazing (weather permitting). Overnight at Hotel. After Breakfast. Get ready your tour Paradise Country. A unique Australian farm tour experience! 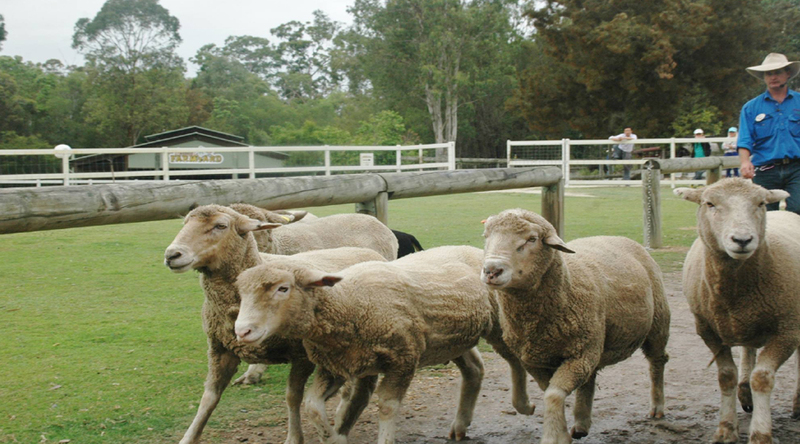 Paradise Country is a great destination for families to experience an authentic Aussie Farm that reflects the traditional Australian Bush Culture. There is so much to do, you can feed the friendly kangaroos, visit Koala Village where you can have your photo taken with a cuddly Koala, see the skills of the master shearers in the Sheep Shearing Show. The kids will love the Animal Nursery with gorgeous baby lambs, piglets and calves. Experience the feeling of being on a real Australian farm as you watch stockmen and their dogs round up a flock of sheep, crack a stockman's whip and meet Paradise Country's newest residents, a pair of friendly dingoes. Sample a feast of country tucker in the farmhouse restaurant. A delicious buffet barbecue lunch is served as you enjoy some great Aussie music. After Proceed your Jet Boat Adventure. 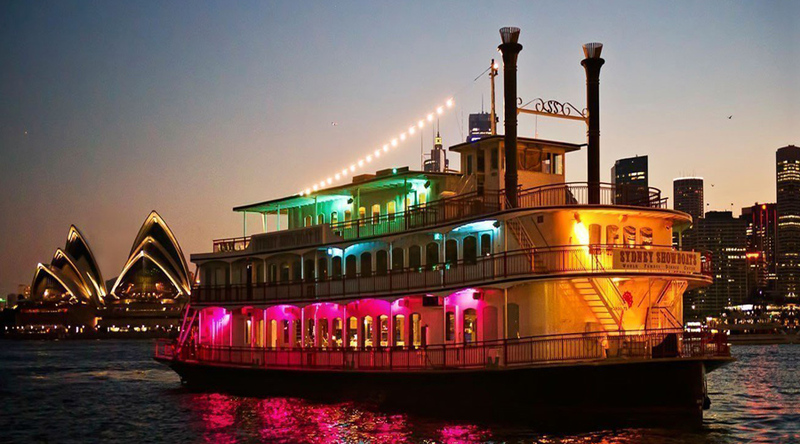 Our premium experience is famous for the unique blend of thrills & adventure mixed with Sightseeing & Senery. Operating in areas of the Broadwater and Marine Park exclusive to Paradise Jetboating, our rides are famous for their mix of Jetboat thrills and stunning scenery and sightseeing. Experience full 360 spins, high speed drifting, incredible beach buzzing and other exciting manoeuvres is as little as 10cms of water while we explore the Gold Coast's unique Broadwater. Overnight at Hotel. A Balloon Hot Air coach will pick you up from your hotel to commence a half day Ballooning with O'Reilly's Vineyard Breakfast Tour. Begin your day by floating gently above the spectacular Gold Coast Hinterland. Watch the sun rise over the rolling hills and enjoy sweeping views of Mt. Tamborine, Lamington National Park and to the shimmering tall towers of the Gold Coast skyline as you enjoy a 30 minute balloon flight. Afterwards enjoy breakfast in the gracious ambience of O'Reilly's Grand Homestead with its wide verandahs and high ceilings. Take a stroll in the tranquil grounds or enjoy a wine tasting at the Cellar Door. Tour concludes at approximately 10.00am, at which time hotel drop offs will commence. Back to Hotel. Rest a Day. Then, proceed your tour 55 Minutes Fire Truck Tour- Board your Fire Truck in Cavill Ave – Surfers Paradise. The siren sounds as you depart for an exciting ride to the Spit via Surfers Paradise, along the beachfront to Narrow Neck, then on to Main Beach, and past Sea World. Plenty of smiles, laughs and waving to everybody to be enjoyed as you ride aboard a real Fire Truck! Enjoy breakfast at the hotel. Later Check out of the Hotel (Standard check out time is 1100hrs) and transfer to airport on seat in coach basis for flight for Sydney. After Breakfast. Proceed 90 minute tour of Sydney- Stops include: Circular Quay, Elizabeth Street, Cook & Phillip Park, William Street, Kings Cross, El Alamein Fountain, Woolloomooloo Bay, Sydney Opera House, Botanical Gardens, State Library, Hyde Park, Central Station, Power House Museum, Sydney Fish Market, The Star, Maritime Museum, Convention Centre, Chinese gardens/Chinatown, Sea Life Sydney Aquarium, King St Wharf, Barangaroo, Dawes Point, The Rocks. After Breakfast. The Blue Mountains is a kaleidoscope of contrasts and colour, rich in Australian bush and wildlife. Located in the Blue Mountains is the Jenolan Caves, an award winning magical escape for all types of visitors that will blow you away. Complete with 11 spectacular caves, containing pure underground rivers and astonishing limestone formations, the Jenolan Caves will enthral you with their beauty. This Blue Mountains and Jenolan Caves Tour is arguably the best Blue Mountains Trip on offer. Departing Sydney we head directly to the Blue Mountains, touring through the area and its magnificent bush landscape. Take in all its beauty as we head to Scenic World – the home of the Scenic Railway. It’s here you are able to ride the steepest railway in the world down into the valley and glide out of the valley on the Cableway giving you stunning views of the Jamison Valley and The Three Sisters. Complete your experience with the Skyway, riding 370 meters above the mountain chasm (rides as your own expense). They say that magic happens at Jenolan Caves. The caves are Australia’s largest and most popular limestone caves and are dated to 340 million years old. Enjoy a fully 1.5hr guided Jenolan Caves Tour of the Lucas Cave. We will walk you through the underground maze of tunnels, subterranean rivers and natural caverns hidden below the surface. You’ll have time to relax and view the Grand Arch, the mysterious Blue Lake and the beautiful Caves Guesthouse. A bistro lunch is also available at your own expense. Overnight at Hotel. After breakfast, Check out from Sydney Hotel. Transfer to the Airport to board flight for Melbourne. Arrive Melbourne Tullamarine Airport. & SIC Transfer to Hotel Check-in. Overnight. A Gray Line coach will pick you up from your hotel for transfer to Federation Square East (corner of Flinders and Russell Street), the departure point of your tour. At 8.20am join your coach to commence a morning Melbourne City Tour. Melbourne is known for its gardens, restaurants, cafes and markets, arcades and laneway, galleries, the arts and its relaxed elegant charm. It is also home to the Australian Open Tennis, Australian rules football and the Melbourne Cup horse race. Enjoy seeing the highlights of Melbourne city with a guided laneways walk, and time to explore the famous Queen Victoria Markets. Tour concludes at approximately 12.00pm in the city centre. Back to Hotel on your own. Proceed Sky Deck + Edge Experience, Nothing you have ever experienced will prepare you for the awe inspiring views from the highest viewing platform in the Southern Hemisphere.Located in the CBD adjacent to the Yarra River at Southbank in Melbourne's iconic Eureka Tower, Skydeck will change the way you look at Melbourne and maybe the world. Eureka Skydeck 88 an experience above all else. Skydeck 88 operates from 10am to 10pm daily (last entry 9:30pm). Skydeck 88 is the only observation deck in the world that can thrill you with 'The EDGE'. Aglass cube which projects 3 metres out of the buliding, 285 metre up - with you in it!. Overnight at Hotel. After Breakfast. Our coach will pick you up from your hotel for your transfer to the corner of Flinders and Russell Street at Federation Square, the departure point of your tour. At 8.00am join your coach to commence a full day tour to the Great Ocean Road. View the popular coastal township of Lorne, a surfer's haven, and see many fern filled gullies and river inlets on your journey. Stop for lunch at Apollo Bay (own expense). Travel the length of the Great Ocean Road passing towering limestone cliffs, sweeping white beaches and stunning forest scenery. Witness a fabulous spectacle of massive natural erosion. View the amazing Twelve Apostles - limestone stacks rising dramatically from the Southern Ocean and visit the Information Centre. Walk along the boardwalk enjoying the scenery from various viewing platforms. See Loch Ard Gorge and be swept away by the romantic and tragic story of love and lives lost aboard the Loch Ard. Explore Port Campbell National Park and discover the tragic history of over 50 ships wrecked along the rugged coastline. Continue beyond Port Campbell to the remnants of London Bridge before commencing the return journey to Melbourne. Tour concludes at approximately 8.00pm, at which time hotel drop offs will commence. After Breakfast. Check out from the Hotel. Transfers to the airport for catch flight onward destination. Back to Home. 17. Return Airport Transfer from Melbourne airport – hotel – airport on seat in coach basis.